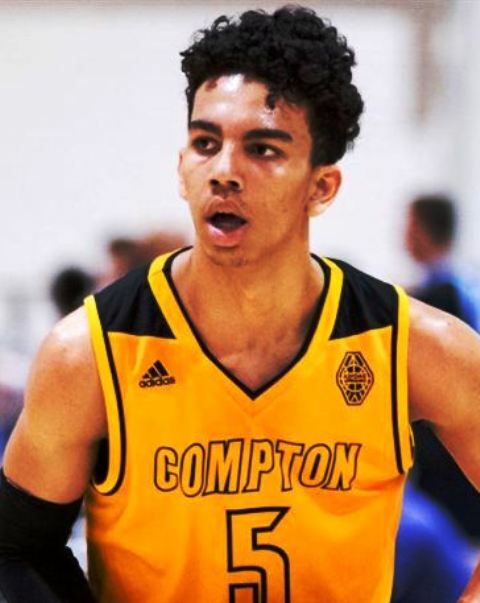 Bernard was fantastic down the stretch to help Compton Magic overcome a 10-point halftime deficit against D1 Minnesota. One of the nation’s top shooting guards, Bernard was steady in the final moments to help put the game away, nailing some tough shots with the shot clock winding down. Bernard finished with 27 points on a very efficient 9-of-13 shooting. He also had eight rebounds and three assists in 28 minutes. Bernard’s late game effectiveness held to form in the Creator’s Cup Final as well. In a win over the New England Playaz, Bernard hit the go-ahead bucket with 48 seconds left. With the game-tied in the final seconds, Bernard then drew a foul and made both free throws to give Compton Magic the win. He would finish with 13 points and 11 rebounds in that one. Word on the street is that Clark has had a strong summer. He did nothing on Thursday to make me think otherwise. A good-looking shot creator, Clark has natural ability to score off-balance and fading away from the hoop. The 6-foot-3 senior has good size and length for the two-guard position and is tough when he gets into the teeth of the defense. On the other end of the floor, Clark made it very difficult on Playground Elite to score. His help and recover defense was outstanding, especially in the zone as he eliminated driving gaps and forced the opposition to play from the outside. Days is coming along. A raw big man with a ton of potential, it’s obvious Days is working hard on his game. Following the 6-foot-9 junior since his middle school days, offensive skills haven’t always come easy. However, over the last week, Days has shown flashes more consistently. He knocked down two triples en route to a team-high 14 points during a loss to Florida Elite. Days also showed more comfort at the high post, shooting mid-range jumpers or attacking the basket. One thing Days has always done well is pass the basketball. With eyes in the back of his head, Days is good for 3-4 assists per game as he loves to find cutting guards and wings. Division 1 teams in need of guard help late in the 2017 class, look no further, Gray had a huge performance against a loaded Game Elite. Gray was unstoppable for long stretches of the game, even against outstanding defense. The 6-foot-3 unsigned senior is a terrific stop and pop shooter off the bounce and doesn’t need much space to let it fly. Gray’s pesky defense forced a ton of turnovers. He’ll be right in his man’s shorts and fluster the opponent. In a close game, there just wasn’t a shot too big for Gray to take and he often delivered in pivotal moments. Gray dropped 27 points, including five triples, and also had five boards in the loss. Getting physical and trying to rattle Hagans is not a wise move. In a physical game against Team Lillard, Hagans answered the bell and made his opponents wish that hadn’t pushed his buttons. Hagans scored a team-high 19 points on 5-of-8 shooting. Hagans played bully-ball, going right at defenders and forcing them to either get out of the way or foul, which resulted in 15 free throw attempts. Packing the stat sheet, Hagans grabbed 12 rebounds, dished out five assists, and registered four steals in Thursday’s win. Facing mostly a zone defense, Hagans was the straw that stirred the drink, knifing his way in high percentage areas and either making plays for himself or his teammates. Opposing defenses have a tall task in trying to figure out how to match up with Hurt. The 6-foot-9 small forward can play inside and out and will simply attack whatever the defense can’t cover. Hurt is quite effective down on the block or in the high post. He can play with his back to the basket or turn and face, which makes a lot of opposing bigs uncomfortable. A sweet-shooting big, Hurt has great touch from all over the floor. When D1 Minnesota puts him in the pick n’ roll, opponents almost have to pick their poison, often allowing Hurt catch and shoot opportunities from beyond the arc. Hurt had a double-double with 11 points and 10 rebounds in a loss to Compton Magic. He then scored 22 points in a win over Team Loaded VA later that day. Putting the New England Playaz on his back, Laszweski was big time in the Creator’s Cup Final. Laszweski had a huge second half to bring his team back from a double-digit deficit. The 6-foot-10 stretch forward was terrific in the pick n’ pop game and spotting up in transition. Laszweski trails plays really well and hand a number of impressive put backs. He also works without the ball and got some easy buckets with back door cuts. Laszweski went for 27 points in a loss to Compton Magic on 10-of-14 shooting. He also grabbed five rebounds in Thursday’s loss. Ledee lived at the rim and the free throw line during Thursday’s win over Boost Elite. The 6-foot-7 small forward was relentless, just muscling his way to the basket practically every time he was in scoring position. A physical forward that’s built like a brick house, Ledee just beats opponents down into submission. He’ll slash and pound inside, fight for offensive rebounds – all part of his punishing style of play. Ledee is also an explosive leaper and he’ll look to rise up for alley-oops off the ball. He finished with 18 points and 12 rebounds in just 21 minutes during a blowout win. Sleeper alert! Ayesa can flat out shoot the basketball. The 6-foot-5 sniper drilled six 3-pointers en route to a game-high 18 points in Thursday’s win over Playground Elite. Ayesa moves well without the ball and loves the corner 3-pointer. The 6-foot-5 senior has zero scholarship offers, but is clearly one of the best shooters down at the Las Vegas Classic. 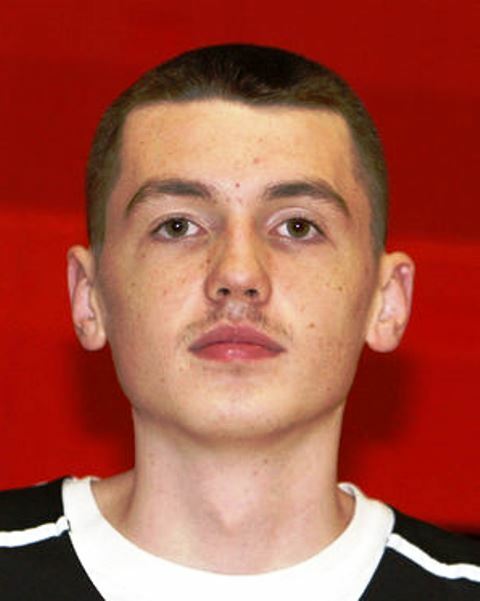 An unknown commodity at this point, mid-major schools in need of a sniper should be tracking this kid. A skilled, versatile prospect, Carlson looks like a high major kid in the 2020 class. While he’s got plenty of finesse for a big man, don’t take that to mean he’s soft. In fact, that’s the opposite. Carlson has a strong frame and delivers shots with his body when he’s going to the rim. The 6-foot-8 sophomore can step out and shoot the basketball, face up from the high post, and runs the floor very well. Carlson was excellent on the glass, muscling people out of the way and taking the mentality of anything that came off the rim was his. A top 2020 prospect to know in the Midwest, Galloway is a skilled, blue collar player. There’s not a lot of holes in this young man’s game early on. A guy that does a little bit of everything on the floor, Galloways is a high-IQ, savvy wing. He had a big scoring performance during Thursday’s win, getting it done all over the floor. A three-level threat, Galloway can knock down shots from the perimeter, mid-range, and slash. He was very effective in transition, going 1-on-1 in the open floor and making things happen on the go. Hopkins was very disruptive defensively in a loss to Game Elite. In a physical game, Hopkins made things happen with aggressive defensive for 90 feet up and down the floor. The 6-foot-3 guard has some good length and moves well laterally. He was also very effective as a slasher in the half court, catching and ripping on the wing and getting right to the cup. Hopkins was hit hard at the rim on several occasions, but continued not to flinch and act as if there wasn’t even a defender in his way. You can’t teach height and Majak has plenty of it. Already seven-feet tall, Majak is a must-see prospect in the 2020 class. As expected, he’s an excellent rebounder and rim protector. Being a raw seven-footer, Majak moves quite well for his size and age. There are some awkward movements, particularly when he’s playing around a lot of bodies, but Majak gets up and down the floor very well. He made his living on Thursday cleaning the glass and gathering offensive put backs, but Majak can do some things on the block 1-on-1. Okongwu had another dominant effort Thursday morning. The 6-foot-9 center exploded for 21 points on 9-of-14 shooting. Okongwu controlled everything around the rim and his intensity/motor was unmatched in a win over D1 Minnesota. Okongwu can also step out and knock down shots from 10-12 feet effectively. An imposing shot blocking presence, Okongwu times shots very well and does a good job of hunting people down in transition, altering shots or putting pressure on the ball handler from behind. He’s a big bodied, undersized forward, but Williams can play. A skilled versatile post prospect, Williams has a soft shooting touch and has no problems stepping out and draining 3-pointers. On the interior, Williams uses his frame well, getting into longer defenders and limiting their ability to affect his shots. On his drop step, Williams man handled defenders and backed them under the rim with a dribble or two. He does a good job of working early, already in scoring position before the ball gets thrown inside. Playing against some physical interior defense, Williams countered with some impressive finesse moves and found ways to gather offensive rebounds despite giving up a few inches. In a low scoring defensive battle, Williams finished with a game-high 26 of his team’s 56 points during a loss to the Cali Rebels. A hard-nosed and skilled guard, Wishart made some big plays down the stretch to help D1 Minnesota hang on against Team Loaded VA. D1 Minnesota put the ball in his hands late and Wishart delivered with some tough drives in traffic. Wishart is a skilled ball handler with terrific quickness. He gains separation off the bounce in a hurry and plays with excellent body control and touch, allowing him to finish against imposing front lines. Wishart finished with 19 points and three assists in Thursday’s win. Trey Grey is receiving late interest from Southern Utah and Eastern Washington. 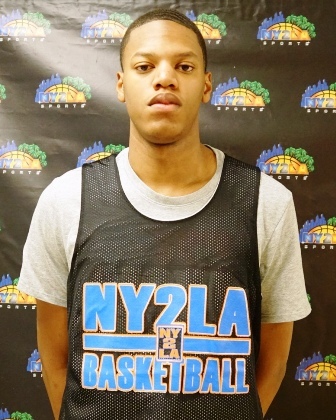 Nobal Days has offers from Illinois, Boston College, Marquette, Northwestern, UNLV, DePaul, Kansas State, and others. 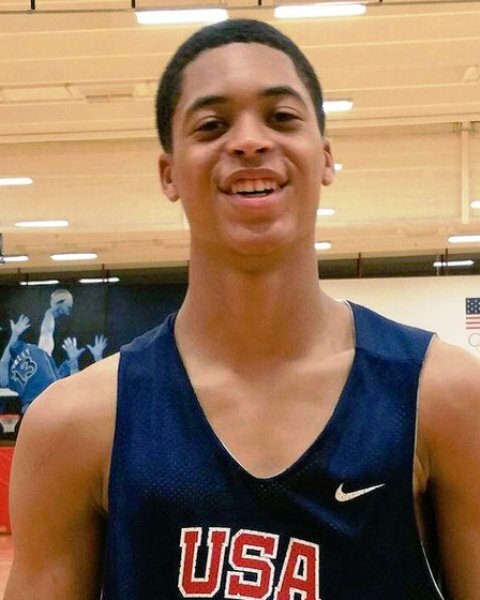 Arizona, North Carolina, Notre Dame, Ohio State, and more have been showing interest. Miguel Ayesa has picked up interest from Wofford and Ohio this summer. Jai Clark has an offer from North Florida. He listed Wofford, Stetson, High Point, Lipscomb, as Florida Gulf Coast as schools currently expressing interest. Nate Laszewski has offers from Notre Dame, Vanderbilt, Pittsburgh, USC, Providence, Villanova, Wake Forest, and Miami (FL).